Werner was born on July 21, 1946, outside the village of Schwanenstadt, Austria. His family immigrated to the United States and they arrived on Ellis Island on December 24, 1950. He grew up in Sioux Falls, South Dakota. He attended Augustana College on a football scholarship where he met his wife Marty. Marty was an Iowa girl, raised in a family of six kids who was heavily involved in music and sports activities. She was studying for degrees in Elementary teaching and Physical Education which matched up perfectly with Werner. It’s remained a perfect fit, with three boys and four grandchildren, they’ve been married for 45 years! After graduation, both began teaching while Werner also coached football, basketball, and tennis. When their three sons were born, Marty became a full-time mother until the boys went to school. 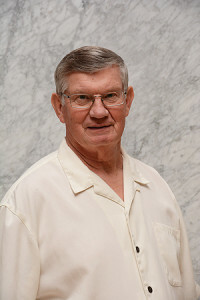 Werner also left teaching to begin helping people with Lutheran Brotherhood becoming their “Rookie of the Year” in 1980. Deciding to relocate to the “cities,” Werner tried a couple of selling positions before he found a home at GoldenCare USA, specializing in Long-Term Care insurance in 2005. Since joining GoldenCare USA, Werner has won numerous awards and consistently been one of their top 10 agents nationwide. In 2011, they moved to northern Minnesota to be closer to one of their sons.